And part of me did a happy dance. I love it when inspiration strikes! And the other part went: WHAT? ANOTHER ONE?! Another creative project to add to my pile? I was so enamoured of this new writing idea that I wrote 600 words on it in a flash. 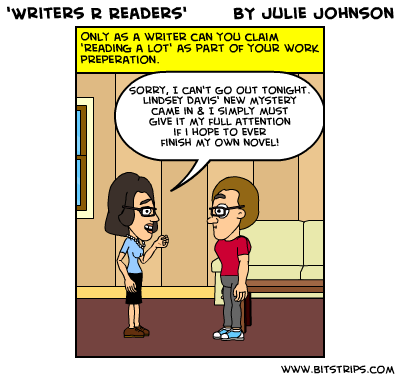 I promised myself I would ‘make time’ to work on my main writing project, which is Regency mystery novel #2. I ran out of writing time. Because that’s how it works in our current universe. I can’t bend time or double time up. There is only so much time available. That means I must prioritize. Which is difficult to do. Especially if my main writing project feels like it has hit a ‘plot hole’ and is at that point where the going is a little bit rough and…wow, look at that shiny, new idea! I’m going to chase after it! Woof! Woof! It can be hard to keep focused. On the other hand, I really like my new idea and the characters within are clamouring to be heard…the writing is more or less writing itself, ready to pour onto the page…it would be criminal to stuff that particular genie back in the bottle…wouldn’t it? go back to carrying around my writer’s notebook. (When the clamouring starts, pour it in there, as soon as there is a moment to be had). I’ve also written in my car. I’ve also written on my phone and emailed myself. I realize now that I have to go back to redefining ‘writing time’, which has come to mean ‘scheduled quiet time at the computer’ but really needs to become more flexible and intermittent. Perhaps I should call them: writing flashes. It’s not ideal. But it’s the only way I can think of right now to balance things out, and water my entire, creative garden so that all my projects get a little bit of love. You will be bogged down by meticulous research and will never, ever know what it was really like to wear pattens. So there! Early 19th Century Pattens from Boston’s Museum of Fine Art. 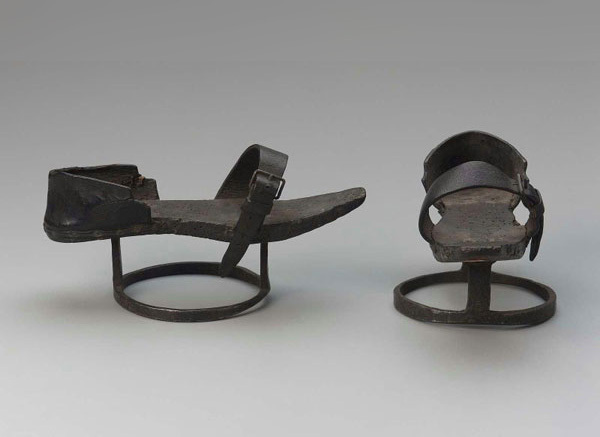 Pattens were used in Regency times to protect your shoes from mud, etc. Apparently everyone wore them because, well, the streets were made of dirt and full of horses. So you used pattens to elevate yourself above the muck. Its just one of those little details that most people could care less about but since I happen to enamoured of this particular time in history, I think they are the COOLEST thing ever. I almost want to recreate my own pair out of old wire clothes hangers. 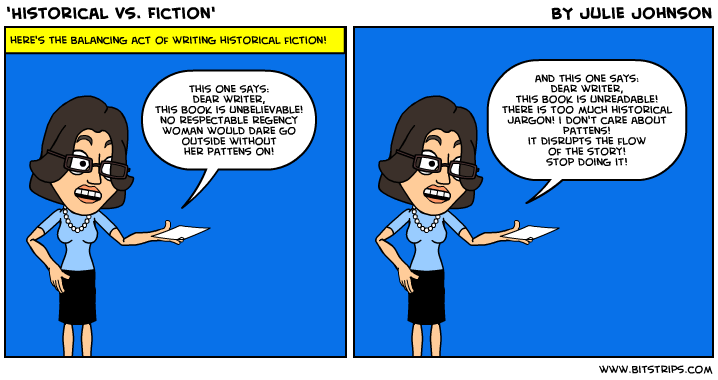 My point is that there is a battle inherent within the genre of historical fiction: Historical vs. Fiction. Every time I sit down to write, I have to decide: who will win? History or fiction? Does my character don her pattens, as would be historically accurate? If so, do i describe the sound they make? Is it a metallic, ringing noise as she hits a cobble stone? Or is it more of a thud as they sink into soft dirt? Do I spend hours researching this? Do I make it up? Does my novel need to come with a glossary of terms? Is it going to be that kind of history novel? How stringent am I going to be? If i am too historical, my novel runs the risk of becoming a Ph.d history thesis. Or it may sound ‘too old-fashioned’. If I am too fictional, my novel runs the risk of become ‘too modern’ and anachronistic. It is a constant negotiation. I need to always find a middle ground that works for me. Not too historically rigid. Not too fictionally soft. This is not easy. And sometimes I wish I had set my novel in my current location, in current times, when I could just look around my living room to describe a fictional reality. 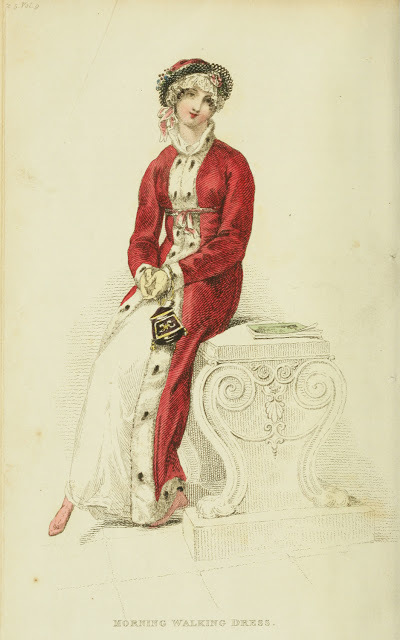 PS For more glorious Regency fashion from Ackermann’s Repository, check out this site! I don’t think I’ve gone a week as a writer without self doubt creeping in along the edges, somewhere. 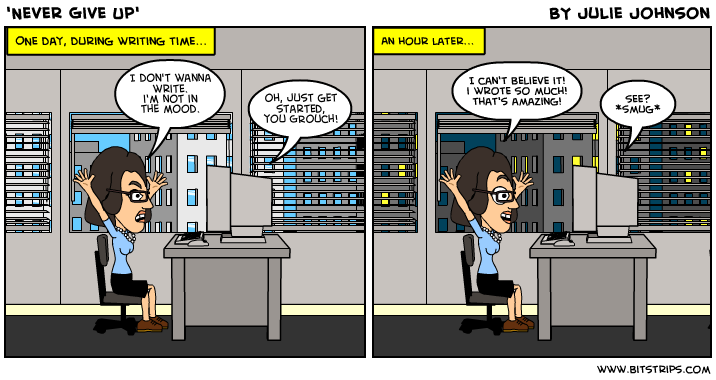 why am I writing? why am I doing this? what is the point? Why don’t I just take up knitting as means of expressing my creativity? At least I can get a scarf out of it! Luckily, the time I spend in these self-doubt moments has gotten shorter and shorter. Maybe its because I feel my age these days. Or because I am a busier person. 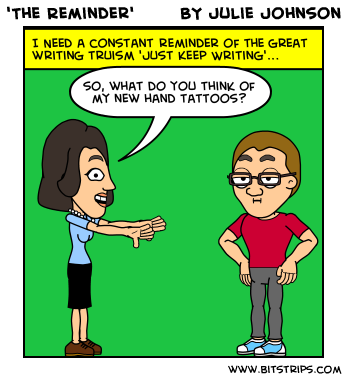 I simply do not have the time or the patience for writerly hand wringing. My writing time is short, and if I’m lucky enough to be ‘in the flow’, I do not need to sabotage myself by suddenly wondering IF NO ONE WILL EVER READ WHAT I’M WRITING because it’s JUST NOT GOOD ENOUGH. Would anyone really care that Lady Melbourne and my character’s aunt, the Great Dowager of Haughton, are sworn enemies? Oh, I know. Given that it’s the digital age, I could slap my work up on a self created website and the law of averages would decree that someone, somewhere would probably come across it at some point, even if all they did was click on the link by accident. Ergo, it would be read! But that is not the kind of reader I am aiming for. I’m hoping for a reader who is invested in my story. Intrigued and invested. I worry very much about what they think–and so I should. As a writer you CANNOT disregard your reader. They are an invisible presence on your shoulder, nudging, and guiding. They are half-myself, too, because I write what I want to read and part of the EXCITEMENT of being a writer is discovering what would EXCITE me as a reader. Oh my god, let’s make Lord Byron a jerk when we first meet him! As a reader, I would LOVE that! But the reader on your shoulder should never take the drivers seat. Don’t even let them be a back seat driver. Consider them the in-car GPS. Sometimes you follow their directions to your destination…and sometimes you don’t! 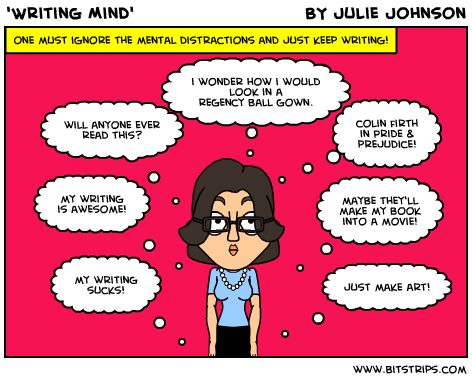 I will even say it to myself out loud (and repeat after me): JUST KEEP WRITING! I couldn’t imagine being a writer without being a reader. 1. I learn by example. I see plotting, characterizing, description, dialogue. I see it over and over and over again, every time I read a book, until the essence of each settles into my bones. 2. I see when it’s done properly…and I see when it isn’t! I will never forget tossing a mystery across the room in frustration…because they never solved the mystery by the end of the book. BLASPHEMY! What kind of self proclaimed mystery novel doesn’t solve the mystery? I have also rolled my eyes at corny dialogue, skimmed over too much description, and flipped past pages of dithering that didn’t seem essential to the plot. I see what doesn’t work. I have cried my eyes out because a character I loved got hurt. I’ve stayed up too late to read ‘one more chapter’. I’ve had to turn the lights on because a book scared me too much (King’s The Shining, of course). 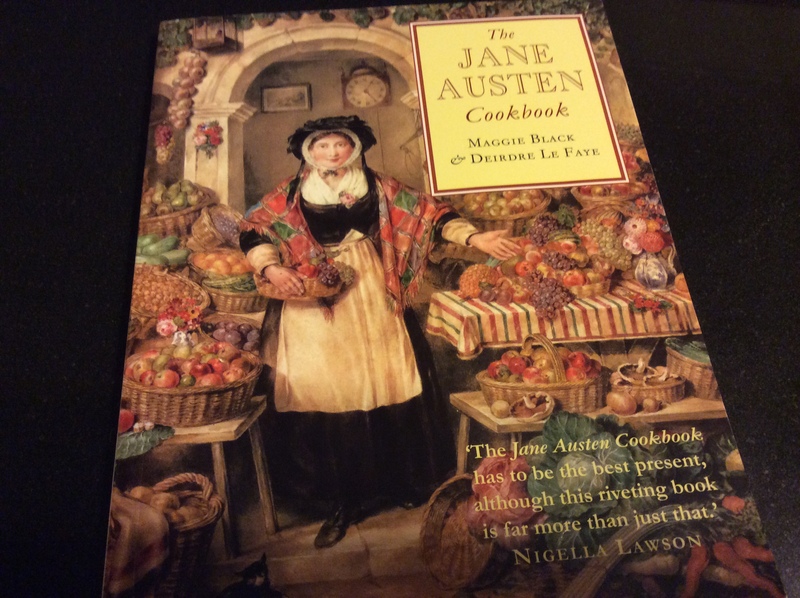 I have bought books for people…because ‘you just have to read this’. When done right, a book can have impact. I take these experiences to heart as a writer. And so the goal, within the parameters of my own writing ability, is to aim my arrow at a similar target. 3. I take #1 and #2 and apply it to my genre. People sometimes think that because I write about the Regency period that must be my favourite genre. They think I own the I ‘heart’ Mr. Darcy tote bag, and The Jane Austen Cookbook (wait, I actually do have that). Listen, I enjoy Jane Austen as much as the next person, and will happily argue which is the best book (Persuasion, hands down) and which is the best movie adaptation (Persuasion, 1995). But I am not a Janeite. Truth be told, Regency is not my preferred genre. I don’t get all ‘grabby hands’ just because someone’s wearing an Empire-waisted gown on the cover. Frankly, I’m not that interested in Mr. Darcy, Vampyre or the innumerable Regency romances. However, if it is a mystery…I am all over it. I love mysteries and I read mysteries all the time. It is my go-to feel good book. Even the serious ones, like those by Donna Leon. I’ll read mysteries starring supernatural beings (like those by Juliette Blackwell). Mysteries set in modern day India (like the Vish Puri series by Tarquin Hall). Mysteries set in 1830’s Istanbul (Jason Goodwin’s Yashim series) or Ancient Rome (Lindsey Davis’ brilliant Falco series) or England in 1940 (Susan Elia MacNeal’s Maggie Hope series). And, of course, mysteries set in the Regency period (Kate Ross’ Julian Kestrel Mysteries). It’s no coincidence that I am writing a mystery series myself. I read what I write and I write what I read. Or perhaps, I should say: I read what I love and I write what I love to read. 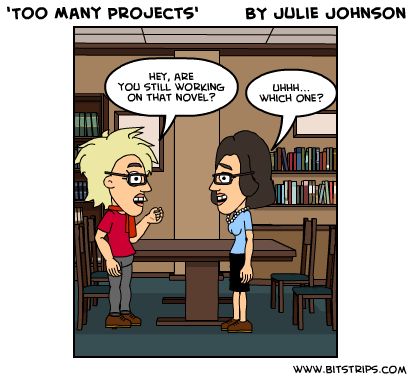 I assume most writers feel the same? Don’t you agree that writing & reading are BFFs? 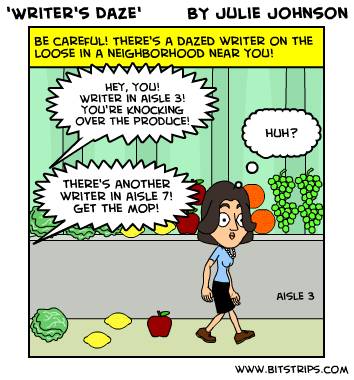 Writer’s Daze: Do You Have The Symptoms? It’s a wonderful thing when I’m writing and in the groove. It can be hard to let that go. But sometimes I have to let it go. Most writers have more in their lives than just writing. Sometimes you have to STOP even when you’re smoking hot and the words are flowing fast and the ideas are popping in your head like popcorn. Pop! Pop! Pop! Sometimes you have to STOP WRITING, even if you don’t want to. 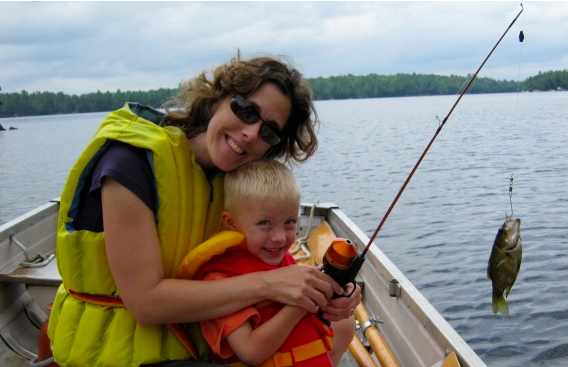 You’ve got to go to work, pick up the kids, run a necessary errand, cook food. 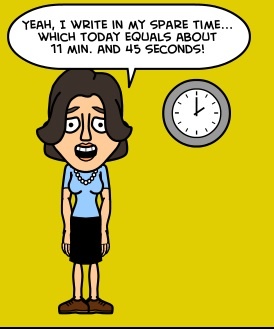 (My ‘Time Bending’ and ‘Idea Projection’ super powers have yet to show up and solve this conundrum). But–alas! 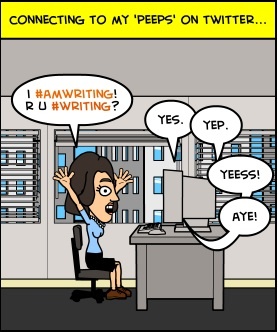 Writing won’t let you go that easily! 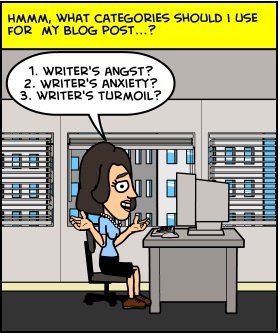 Writers, do you suffer from this condition?! I do. It’s happened to me many times. It happened to me today, in fact. I’ve had to forcibly SNAP MYSELF OUT OF IT. Julie, you are not in the nineteenth century anymore. You are in the grocery store, mindlessly wandering around with a list in hand, mumbling to yourself about Lord Byron’s letters to Lady Melbourne and what kind of hat your main character should wear. Julie, you need to return to reality and GET A GRIP! The best antidote to Writer’s Daze is to completely ground yourself in your present moment. This is especially necessary if you are performing some important task, like driving a car or operating heavy machinery. Reassure yourself the writing will be there. You can let it go. It will return to you and you to it. The writing will always be there!